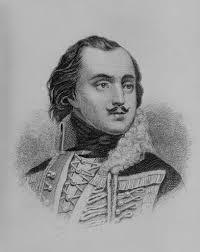 ​​General Casimir Pulaski is an American Revolutionary War Hero, who, as a Polish immigrant, born into a noble family sacrificed his life for the cause of liberty in America. General Pulaski was the father of the US Cavalry, a General second to none, and a man known throughout Europe for his bravery and perservance in defending freedom. Pulaski Days was founded in 1973 by Ed Czyzyk and Walter Ulanch as a way to support the local social clubs by sharing Polish culture with the entire Grand Rapids community. The annual event has now grown into a week-long celebration to be shared with friends, family, and strangers alike.